l Min Cao; Cong Zhang; Zhi Cai; Chengcheng Xiao; Xiaosong Chen; Kongyang Yi; Yingguo Yang; Yunhao Lu; Dacheng Wei*，Enhanced Photoelectrical Response of Thermodynamically Epitaxial Organic Crystals at the Two-Dimensional Limit, Nature Communications 2019, 10, 756.
l Donghua Liu ; Xiaosong Chen ; Yaping Yan; Zhongwei Zhang; Zhepeng Jin; Kongyang Yi; Cong Zhang; Yujie Zheng; Yao Wang; Jun Yang; Xiangfan Xu*; Jie Chen; Yunhao Lu; Dapeng Wei*; Andrew Thye Shen Wee; Dacheng Wei*. Conformal hexagonal-boron nitride dielectric interface for tungsten diselenide devices with improved mobility and thermal dissipation, Nature Communications 2019, accepted. l Zheng Wang; Kongyang Yi; Qiuyuan Lin; Lei Yang; Xiaosong Chen; Hui Chen; Yunqi Liu; Dacheng Wei*. Free Radical Sensors Based on Inner-Cutting Graphene Field-Effect Transistor, Nature Communications 2019, accepted. l Donghua Liu; Xiaosong Chen; Yibin Hu; Tai Sun; Zhibo Song; Yujie Zheng; Yongbin Cao; Zhi Cai; Min Cao; Lan Peng; Yuli Huang; Lei Du; Wuli Yang; Gang Chen*; Dapeng Wei*; Andrew Thye Shen Wee; Dacheng Wei*, Raman enhancement on ultra-clean graphene quantum dots produced by quasi-equilibrium plasma-enhanced chemical vapor deposition, Nature Communications 2018, 9, 193.
l Wei, Dacheng*; Xie, Lanfei; Lee, Kian Keat; Hu, Zhibin; Tan, Shihua; Chen, Wei; Sow, Chorng Haur; Chen, Keqiu; Liu, Yunqi*; Wee, Andrew Thye Shen*. Controllable unzipping for intramolecular junctions of graphene nanoribbons and single-walled carbon nanotubes, Nature Communications 2013, 4,1374.
l Wei, Dacheng*; Lu, Yunhao; Han, Cheng; Niu, Tianchao; Chen, Wei; Wee, Andrew Thye Shen*. Critical Crystal Growth of Graphene on Dielectric Substrates at Low Temperature for Electronic Devices , Angewandte Chemie International Edition 2013, 52: 14121~14126. l Dacheng Wei*; Lan Peng; Menglin Li; Hongying Mao; Tianchao Niu; Cheng Han; Chen Wei; Andrew Thye Shen Wee, Low temperature critical growth of high quality nitrogen doped graphene on dielectrics by plasma-enhanced chemical vapor deposition, ACS Nano 2015, 9, 164~171. l Li Menglin; Liu Donghua; Wei Dacheng*; Song Xuefen; Wei Dapeng; Wee Andrew Thye Shen, Controllable Synthesis of Graphene by Plasma-Enhanced Chemical Vapor Deposition and Its Related Applications, Advanced Science 2016, 3, 1600003. 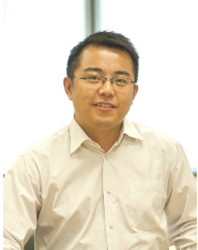 4) Lee Kuan Yew Research Fellow (P.I. ): Physics Department, National University of Singapore. 2009-2014 (Guest professor: Prof. Andrew T. S. Wee). 5) Professor: National Key Laboratory of Molecular Engineering of Polymers, Department of Macromolecular Science, Fudan University, China, from 03. 2014. 3) National Outstanding Doctoral Thesis, Nomination Award, China, 2011. 4) Outstanding Doctoral Thesis of Chinese Academy of Sciences, CAS, 2010. 5) Lee Kuan Yew Research Fellowship Award, Singapore, 2009. 1) Microelectronic Engineering, Elsevier, Editorial Broad. 2) Remote Sensing, PiscoMed Publisher, Editorial Broad. 3) Functional Material, Editorial Broad. 1) Photoelectrical Functional Polymer Materials, 2015-present, Fudan University. 2) UROPS, 2012.06-2012.12, National University of Singapore. Min Cao; Cong Zhang; Zhi Cai; Chengcheng Xiao; Xiaosong Chen; Kongyang Yi; Yingguo Yang; Yunhao Lu; Dacheng Wei*，Enhanced Photoelectrical Response of Thermodynamically Epitaxial Organic Crystals at the Two-Dimensional Limit, Nature Communications 2019, 10, 756.